Skiing and climbing in an ethereal scenery which simply takes your breath away are some of the many good things meant to happen when going to Chamonix. But the mighty mountains have their share of danger as well, so remember that safety must always come first. 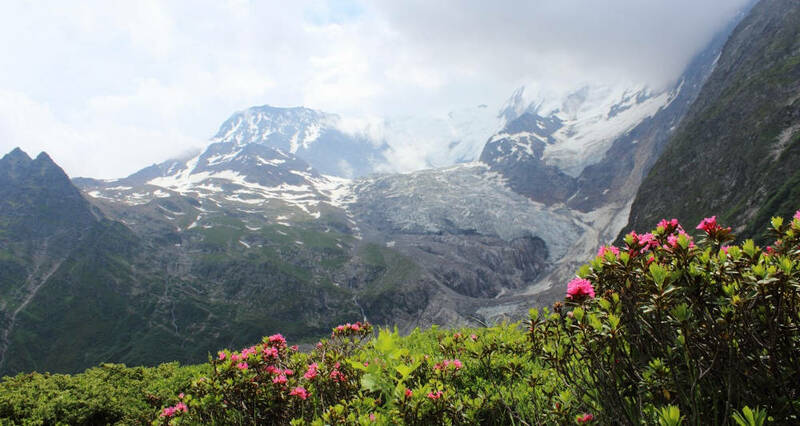 Because it is a mountain area, Chamonix is prone to avalanches and other natural hazard risks. But, if everything is covered and all the safety measures are taken, the risk of being injured decreases significantly. Probably the three most important items to carry when going into the mountain, the DVA, probe and shovel can help one reduce the amount of time until being found, thus saving precious time. "The average time to find a victim when you have DVA, probe and shovel is 11 minutes. It goes to 30 if you have DVA and shovel, and 1:30 with the DVA only ", says the trainer of Chamoniarde. First of all, make sure that everything works before leaving. It is important to have brand new batteries put into the DVA and, also, to test everything. To check the antenna, a distance of one meter must be respected. On the probe side, it must be practical and easy to get out. And then, be aware of the interferences! The phone must be kept 20-25 cm away from the DVA when it is in transmission mode. When in reception mode, one must keep their phone 50 cm away from the DVA. If caught in an avalanche, you must call the emergency services. It is highly indicated that you have the local emergency services number on your phone but 112 will also work. It is important to take a few moments to assess the situation before calling, so you are able to tell the emergency services as many details as possible: Where did it happen? What happened? How many people are there and how many have DVAs? Then, a person in the group puts his DVA in the search position and all others turn off theirs to limit interference. Apparatus to the ear, skis to the feet, it is then necessary to cross the ground as fast as possible by seeking a beep. Then, you have to put your eyes on the screen and follow the arrows and the metric indications. "You slow down! The instructor asks. At 10 meters, "you take off your skis" and at 3 meters, the DVA is placed at the knee. Once above the victim, the sounding can begin, perpendicular to the slope, every 25 cm, in a square spiral. "When you touch it, you dig. First, like nags, then, the closer you get, the more you fine-tune and finish with your hand." When the victim is found, the most important things are to clear their airways and give them first aid. For more information, check Chamonix useful numbers and mountain and avalanche safety tips. The Chamoniarde offers many workshops and lectures on safety and avalanche awareness, including three free workshops. Are you new to the mountains? Consider hiring a high mountain guide, also remember that Chamonix has many beginner's skiing slopes. Make sure to check the weather and snow reports before going into the mountains.